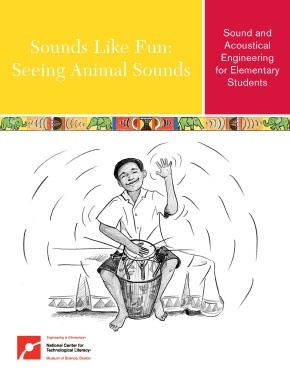 Do you teach the EiE unit "Sounds Like Fun: Seeing Animal Sounds"? 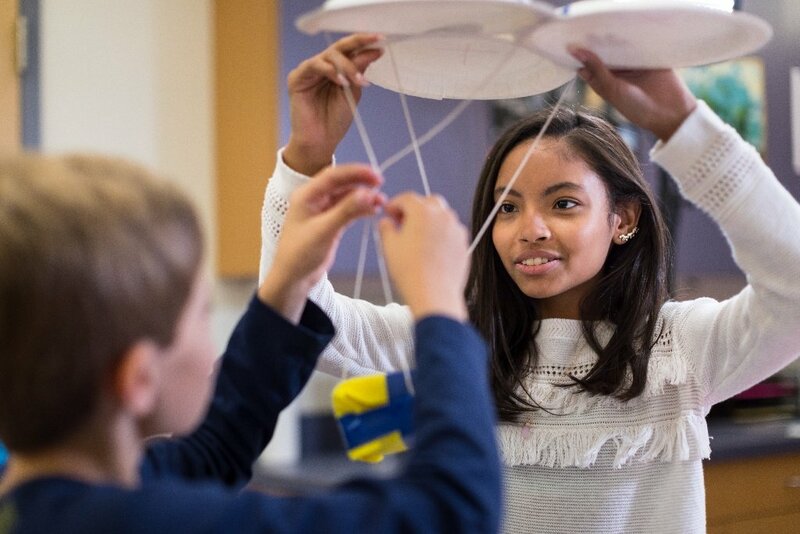 Our professional development collaborators at the Science Museum of Minnesota (SMM) have a big list of handy tips for teaching the acoustical engineering activities in this unit. Here are two of our favorites. Lesson 3 of "Sounds Like Fun" calls for students to explore the properties of sound, including pitch and volume, by listening the calls of an imaginary bird called the speckled bubblebird. 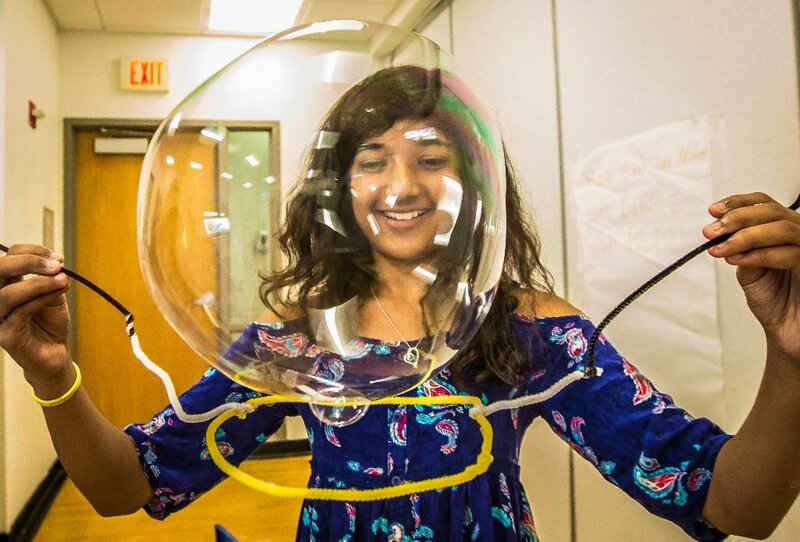 You can turn this activity into a kinesthetic learning experience! 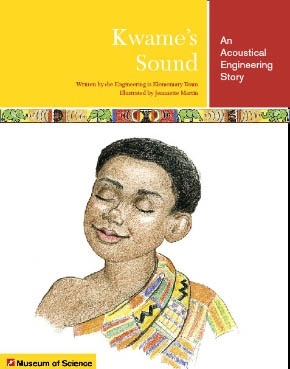 This unit introduces students to acoustical engineering. Make it a whole-body experience: Students start by standing normally, then crouch for low-pitched (or soft) sounds and stand on tip-toes for high-pitched (or loud) sounds. Use hand gestures for . . .
Volume: Students start with hands in a clapping position. They spread their hands wider apart as the volume increases and move them closer together as the volume decreases. Pitch: Students raise their hands high as the pitch gets higher and lower their hands as the pitch gets lower. Students come up with their own ways to visually represent sounds. After you have kids raise and lower their hands, give them a piece of chalk or white board marker. Have students repeat the exercise (raising and lowering hands) as they walk alongside a chalkboard/whiteboard. They'll see how motion directly translates to a visual representation of sound. And get creative with other approaches! Instead of raising/lowering hands, try having students draw larger or smaller circles in the air, or draw larger and smaller wave patterns. Invite your students to develop other ideas and teach them to the class! sound-damping ceiling tiles in your own classroom! 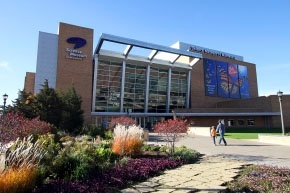 The Science Museum of Minnesota is a longtime EiE professional development collaborator. While you're looking around the SMM site, bookmark the EiE Teacher Tips page, because tips for other EiE units are on the way! If you have questions or suggestions for SMM, you can write to them at eie@smm.org. Do YOU have a teaching tip to share? Let us know? If we use your tip on the blog, we'll thank you with the EiE Teacher Guide of your choice. 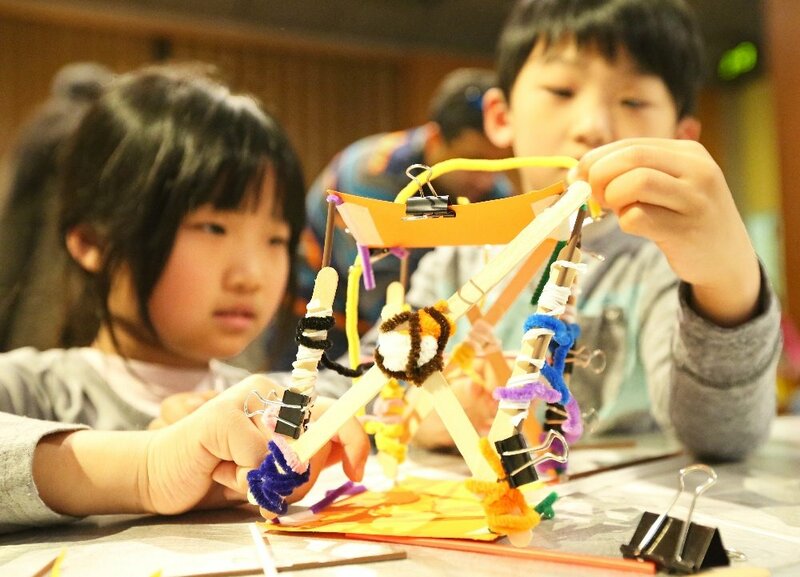 Engineering is Elementary is a project of the National Center for Technological Literacy® at the Museum of Science, Boston. Will we see you at the NSTA national conference? Visit EiE at Beyond School Hours 2019!